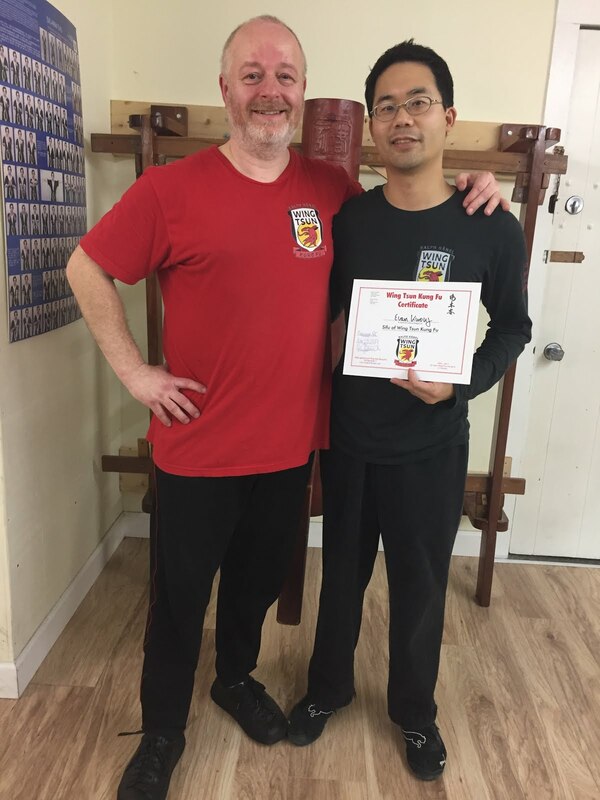 kyklosphaira wing tsun kung fu blog: Have you got what it takes? Every now and again you might hear a question comparing WT with MMA or what not, or how WT would be in a tournament. I’m not talking about the silly chi sau tournaments here. Nor am I talking about love-tap fights with a point system. I’m talking about being locked up in a cage with another experienced, ruthless and belt-hungry fighter. We have to remember what we are training WT for. How about this: self-defense when caught in an unexpected potentially violent situation. At least for me, I’m not training full-time to be in a professional ring where I’ve studied my opponent’s videos beforehand, and I’ve been studied in detail, both of us needing to obey various rules, etc. I remember watching an MMA fight, where one fighter accidentally ran his eye into the other guy’s thumb (yes, not the other way around). “Ow! (Sniff, sniff)” Fight delayed. Groin shots in those fights are always classic as well. Note: Yes, I realize that there are lethal techniques in other martial arts besides WT. Let’s turn to a lesson from Master Wong. Maybe a bit too much swearing for some, but I love watching the sarcastic tone of his videos. You’ll have to watch some of the other ones to understand his animosity towards his student. This video has a clear message for me – it’s not about what kung fu versus MMA, my style versus your style, etc. It’s about the person who is training in the martial art. So, what else is new? Let’s train hard! I see I have dodged the question a bit of whether WT work in a cage fight. I think it’s because it’s an entirely different scenario. Do I think someone could incorporate effective WT training into their MMA training? Sure! Put a hard-training devoted fighter through WT and no doubt there’ll be improvement. Chinese boxing – why not? But I guess I really won't know until I see it. Until then, I'll spend less time thinking about that and more time training in an effective self-defense system. What are your thoughts? I hope you enjoyed that video. There are lots of amusing quotes in there. He has also been posting this entertaining “Wing Chun Apprentice” series for 2010. And to end, because kung fu is not only about physical fighting, let’s broaden our thinking a bit. I think this lesson is a valid point in all aspects of life. How much effort do you put in to attain your goals?